The glaciers that shaped much of southeast Michigan did a wonderful job sculpturing the Pinckney Recreation Area, a 10,201-acre state park that straddles the Livingston/Washtenaw County Line. The heart of the unit is a cluster of seven lakes, connected by streams and short channels and set in rolling hills forested primarily by oak. Winding around most of the lakes is Pinckney's 26-mile trail system that offers mountain bikers, hikers, trasil runners and backpackers some of the most picturesque paths in this corner of the state. Pinckney stretches from M-52 near its southwest border northeast to M-36 with a number of county roads bisecting it. The park is spread out and includes parcels of private land, resulting in many cottages and homes along a portion of the larger lakes. It’s a popular place for outdoor recreation due primarily to mountain biking and its close proximity to cycle-crazy Ann Arbor and metropolitan Detroit. 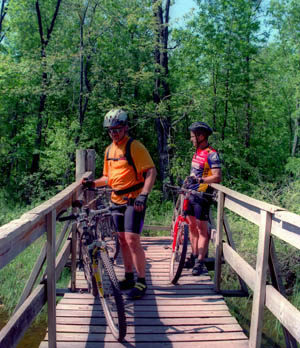 When the sport of mountain biking arrived in Michigan in mid-1980s, Pinckney was one of the first parks to welcome off-road cyclists on its trail system. Now the recreation area is something of a Mecca for mountain bikers, attracting more than 115,000 riders a year from as far away as Ohio, Indiana and even Illinois. On any nice weekend from spring through fall the trailhead parking lot at the Silver Lake Day-use Area will be filled with cyclists coming or going. The park features three single tracks; the 2.3-mile Silver Lake Trail, the 5.1-mile Crooked Lake Trail and the 17.3-mile Potawatomi Trail, one of the toughest rides in the state. To avoid conflicts among users, directional flows have been established with bikers following the trails in a clockwise direction, and hikers counter-clockwise. With the exception of the Silver Lake Trail, Pinckney is considered a challenging and technical ride for advanced bikers with numerous hills and ridges to negotiate. This is particularly true with the Potawatomi Trail, where every summer a number of biking accidents occur. For trail conditions call the park headquarters or check the Potawatomi Chapter of MMBA web site (hill10.com/mmba). 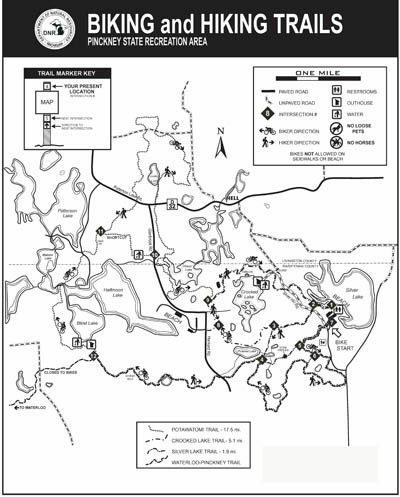 All trails are open to hikers and begin at the Silver Lake day-use area, where there is a large trail sign displaying the routes and distances. Keep in mind that Crooked Lake and Potawatomi are extremely popular with mountain bikers to the point its best to avoid hiking these trails on the weekends. To accommodate hikers, the park built the Losee Lake Trail, a 3.3-mile loop open to foot traffic only. 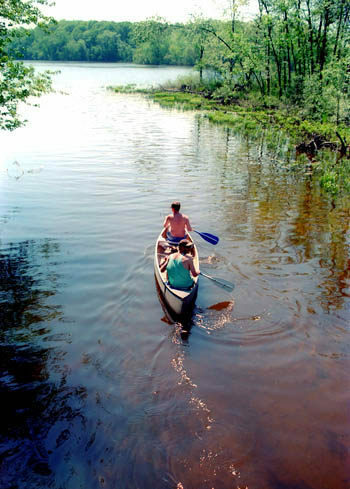 The trail also begins at the Silver Lake Day-use Area and includes skirting several interesting marshes and swamps as well as the southern shore of Losee Lake. Even backpackers have opportunities to shoulder a load and stretch their legs at Pinckney, something that is rare in southeast Michigan. 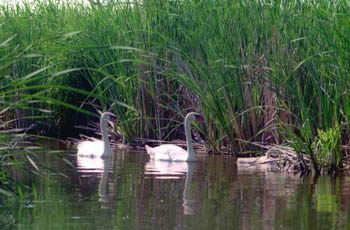 The Waterloo-Pinckney Trail is a 3-day hike and it’s northern half lies in Pinckney. Then there is the Potawatomi Trail that most hikers need at least 9 hours to cover the trail but break up the trek with a night at the walk-in campground on Blind Lake, the halfway point, or a trailside rental yurt. As it is with hiking, to avoid as many mountain bikers as possible, it’s best to walk the trails in mid-week, in the morning and in spring if all possible. During snow-starved years, some backpackers and Boy Scout troops hike the trail in the middle of winter.